You may notice that your skin loses some of its vitality as you grow older – this is an entirely natural process but not something that you simply need to live with. Botox is one of the most well-known treatments for fighting the signs of aging. It has had a bad rap in the media, but it is a simple and low-risk treatment that is effective, safe and affordable. First things first, what exactly is cosmetic Botox? Botox is the trade name for botulinum toxin, which is a toxin produced by a type of bacteria. Botox treatments are non-surgical injections of said toxin into specific muscles, which relaxes them and reduces lines and wrinkles. The Botox procedure only takes a few minutes and you can resume your normal activities straight afterwards. The treatment is most commonly used for forehead lines, lines around the eyes and lines around the mouth so it’s perfect for smoothing away the tell-tale signs of aging that creep into the skin and show on the face. How and why does this cosmetic procedure work to fight the signs of aging? Botox blocks chemical messengers from the nerves to the muscles. The muscles relax and can no longer contract. This reduces the obviousness of lines and wrinkles meaning skin appears smoother. It can take three to five days for the first effects to be noticeable. The full effects may take up to two weeks to show but thereafter, skin will appear younger, firmer and with fewer lines. Botox breaks down in the body, so it is not a permanent solution to aging skin. It usually lasts for an average of three to four months, although sometimes the effect can be visible for up to six months. Won’t I have a frozen face? It’s a common misconception that Botox will you looking emotionless. Carried out by a qualified and experienced professional, Botox doesn’t erase the lines on your face. It simply softens lines and wrinkles so that you look more refreshed and less tired or grumpy. Although Botox is a toxin and this can sound concerning, the amounts used are very small. 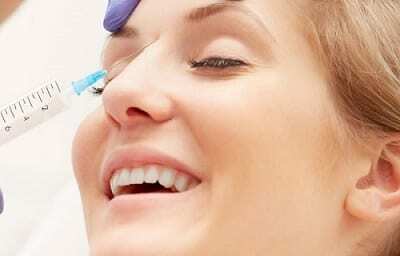 Botox has an excellent safety record when carried out by experienced and qualified professionals. It should always be administer in a professional aesthetic clinic by a cosmetic doctor. Most people experience a little pain or discomfort, but the majority of patients tolerate this very well. Make sure that you visit a cosmetic clinic to see a qualified professional. The right practitioner will answer all the questions that you may have about Botox. You will also be assessed to make sure that Botox is the right type of treatment for you. If you’d like to speak to us about a botox treatment, just get in touch.